Things I liked: The .358's just plain shoot better out of a Recluse. I like the 190 grain mass and the flat head because at 700 ft/sec (where a hollow point will not expand) this round will not over penetrate at close range, and will deliver the full bone crushing 200 ft lbs it carries. 190 grains is where you'd expect .45 caliber bullets to start about. On a 25 yard range these bullets (all 5 shot) grouped within 1.5 inches with the furthest from the bullseye being 1.25 inches. I like the accuracy, and precision a .358 gets you with a Recluse. 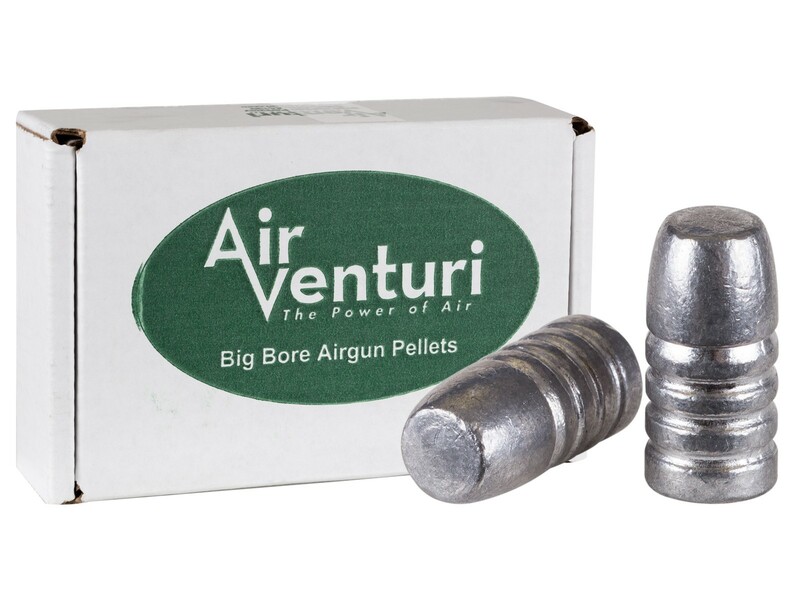 Things I would have changed: I'd have Air Ventur produce more .358's in different weights and forms. How about a 95 grain hollow head and a 125 grain round-flat in .358? How about a nice ballistic cone on a 175 grain .358? The Recluse likes .358. How about a 200 grain ballistic flat-tip? What others should know: Good bullet for big game in close quarters. Things I liked: These bullets hit with tons of authority, I've only been shooting at a 35 yard target but at that distance they fly flat and whack hard.I'll be going upstate New York this weekend so I'll really be able to see what they can do at longer distances, shooting out of my Winchester 70. 35 cal rifle accuracy hasn't been a problem so far.These are quality made bullets. What others should know: They don't fit in the Winchester. 357 magazine, to long,so I just load them manually no big deal,it's easy enough.